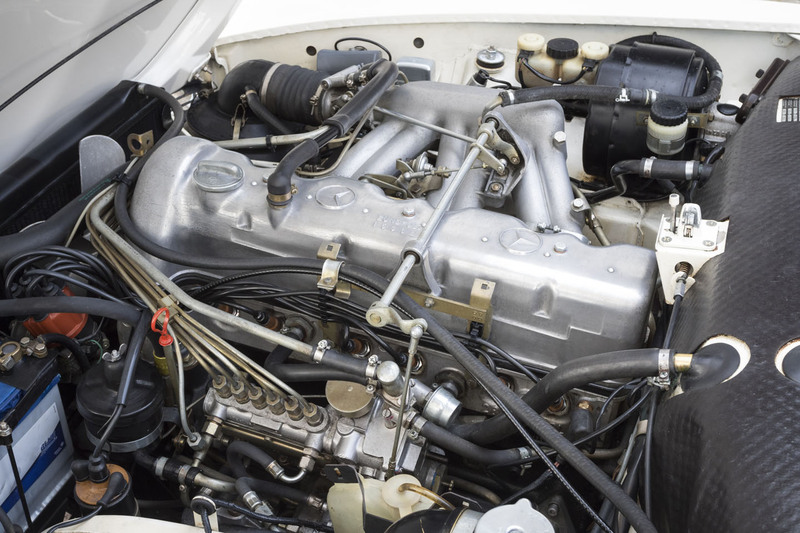 The 280SL was introduced in 1967 and powered by a new 2.8-litre six-cylinder engine that produced 180bhp, 20 horsepower more than the preceding 250SL’s. 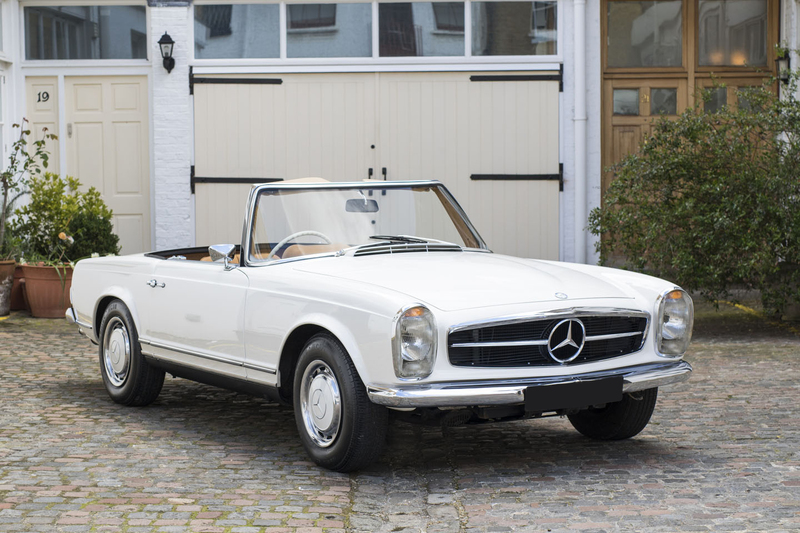 The 280 SL, with its effortless power delivery has become the most sought-after of SL’s. 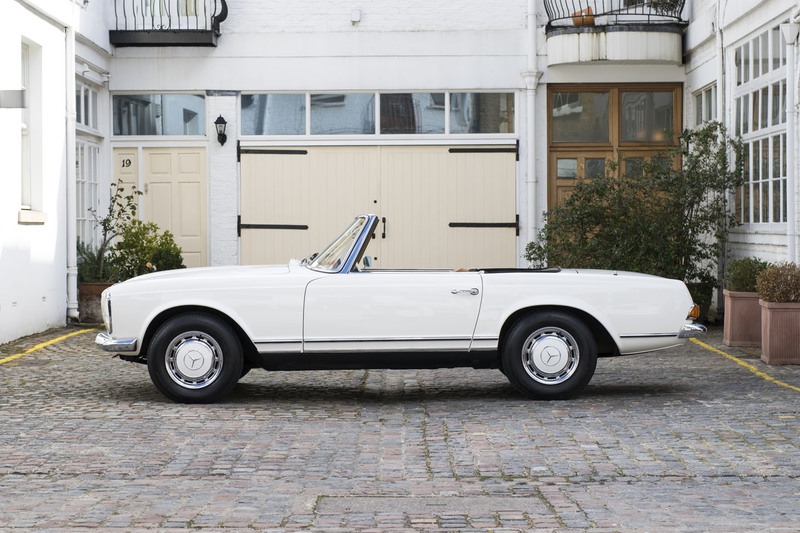 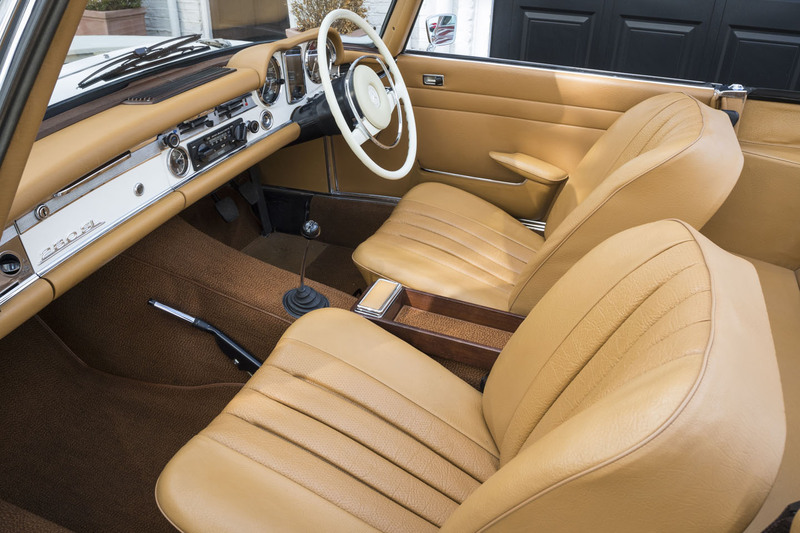 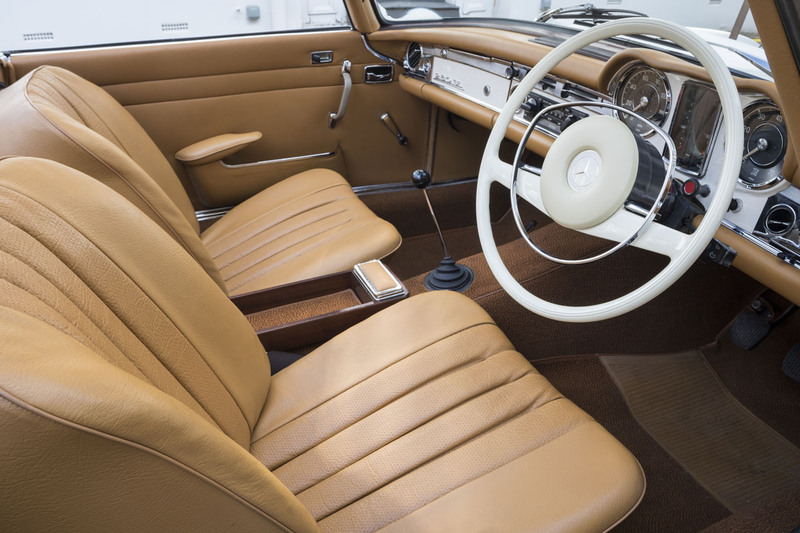 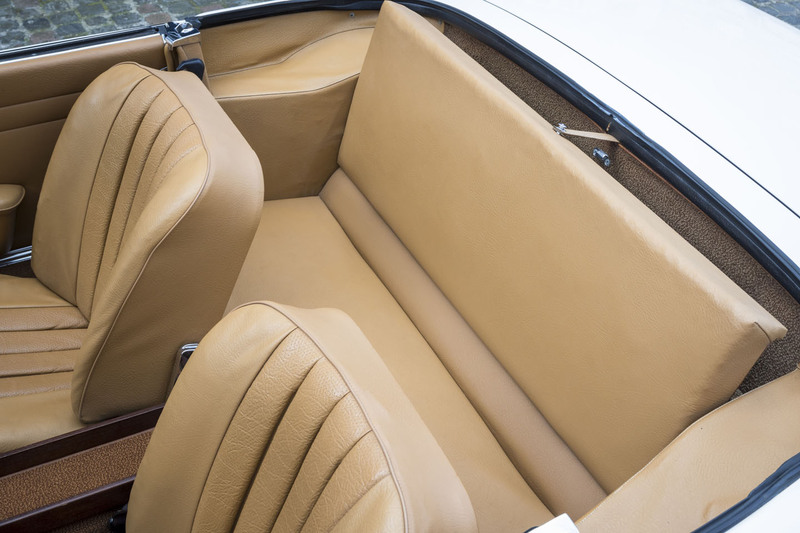 This rare ZF 5 Speed 280SL is an example of the ‘California Coupé’, a 2+2 version (first introduced on the 250SL) that came with a rear bench seat occupying the space hitherto reserved for the convertible top. 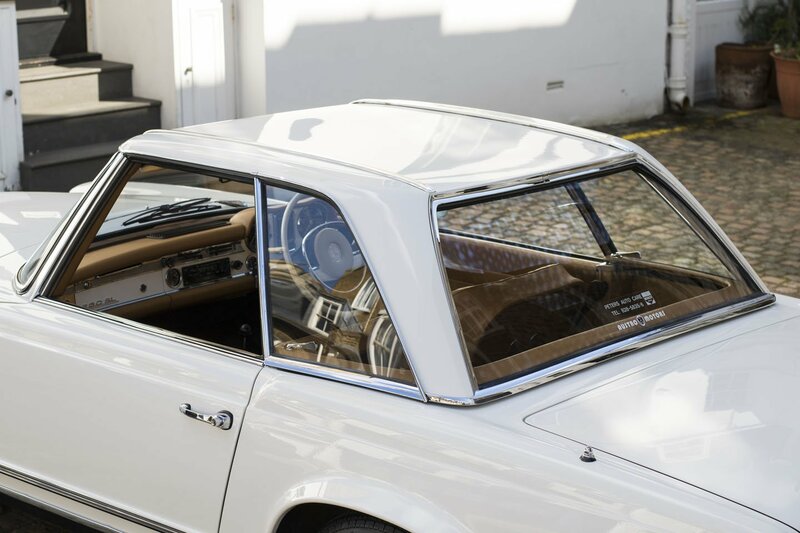 A removable hardtop provided the weather protection. 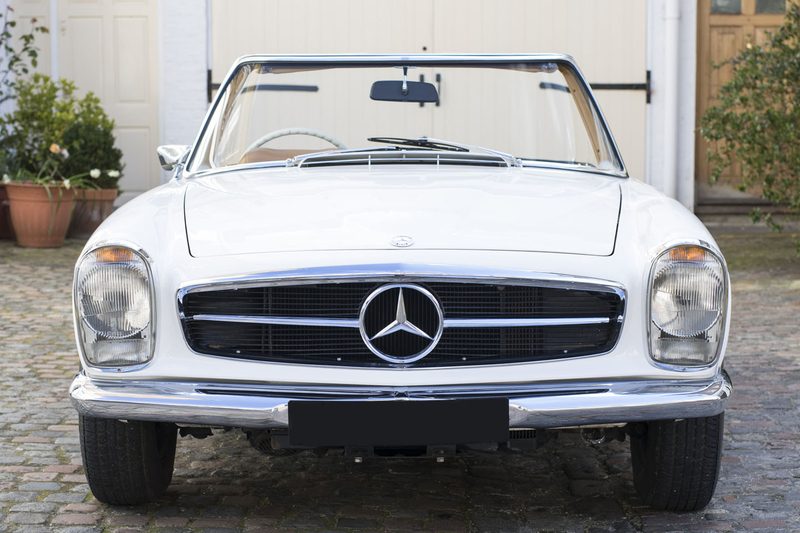 Supplied new to the temperate climate of South Africa our 280 SL was then purchased by Mr Cassidy in 1999 and brought to the UK where it was subsequently put in to long term storage. 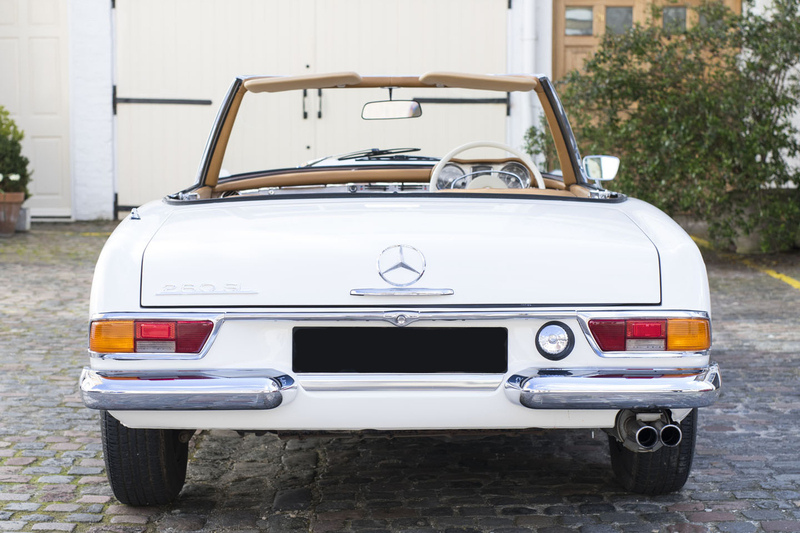 Whilst in storage, the Mercedes has been kept in superb order throughout. 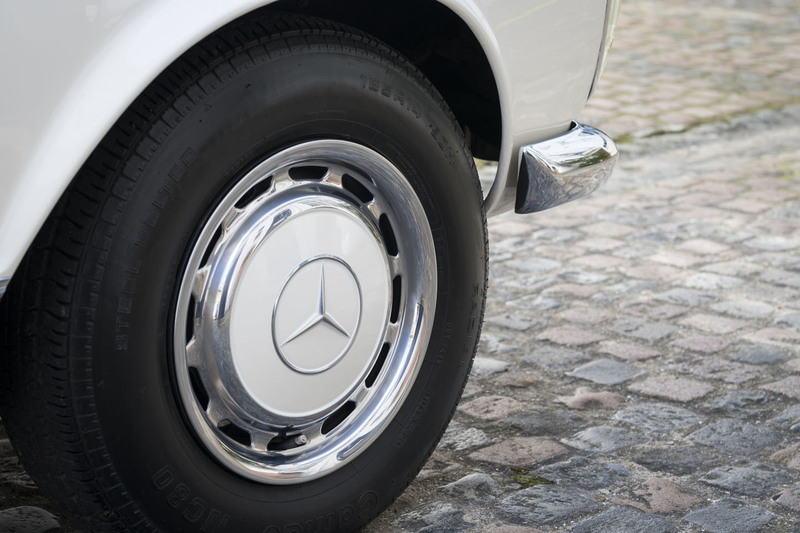 Benz is both a valuable collector’s car and a very satisfying one to drive. 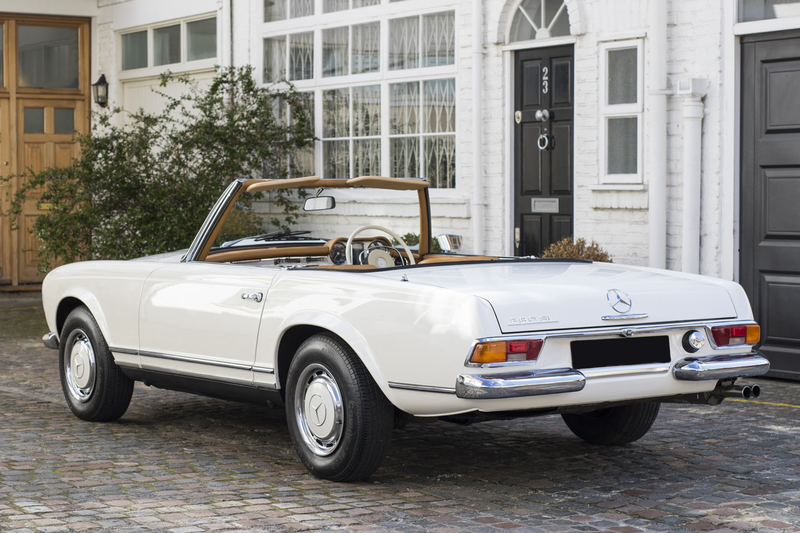 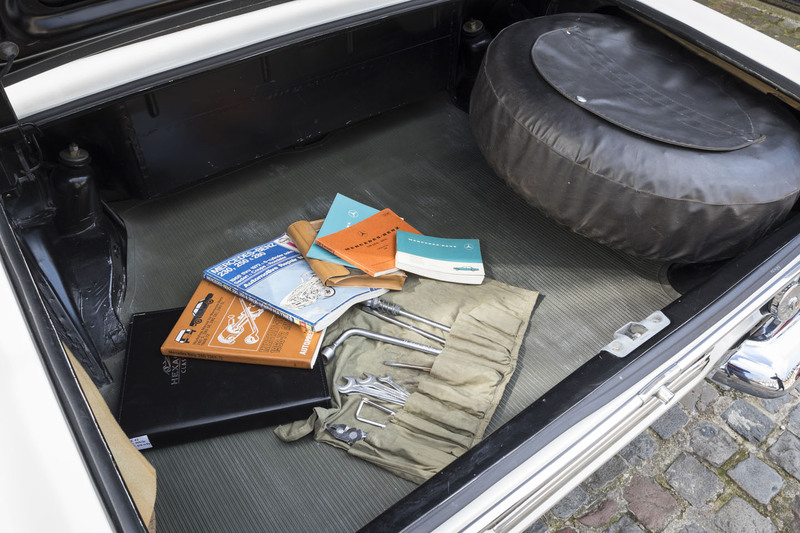 Mercedes-Benz marketed this car as “the sum total of everything the Mercedes-Benz engineers have learned about high-performance sporting machinery.” Four decades later the 280SL represents the finest convertible ever made by Mercedes-Benz.